Way back in 2009, Marvel Comics purchased the rights to Marvelman from Mick Anglo. Anglo created the character back in the 50’s to replace the UK reprints of Captain Marvel that would be discontinuing after Fawcett Comics stopped printing Captain Marvel. The purchase of the Marvelman rights elicited hope from some comic fans that Marvel would eventually be able to get the rights for Miracleman. Miracleman was the Eclipse Comics revival of Marvelman, albeit with a name change due to pressuring from Marvel Comics who owned the “Marvel” trademark. Under Eclipse, Miracleman reprinted the Marvelman stories published in Warrior written by Alan Moore, with art from Gary Leach and Alan Davis. Now for the reason for the bit of history: Joe Quesada announced at New York Comic Con that they had control of the rights to Miracleman. Beginning in 2014 they would begin reprinting the 24 issues of Miracleman that Eclipse put out before the company folded. But, most importantly, that Neil Gaiman and Mark Buckingham would be able to finish their run on the character they started almost 20 years ago. When Alan Moore finished his 16 issue run on Miracleman, he hand picked Gaiman to be his successor on the title. Gaiman and Buckingham had planned 3 arcs consisting of 6 issues each. They would be titled: Golden Age, Silver Age and Dark Age. The Golden Age was finished and they were 2 issues into the Silver Age when Eclipse collapsed and nothing has been printed since. The folding of Eclipse, the low print runs of the issues, and the overall superb storytelling of Miracleman have made them some of the most desirable and pricey modern comics. Speaking of the storytelling, if you have never read Miracleman and were not planning on picking up the reprints, I strongly urge you to purchase them when they come out. Moore takes a largely kid-friendly character and absolutely goes the other way with it. It’s an exploration into darkness, brutality, and absolute power corrupting. Look, we all know Alan Moore has written some of the best stories of the modern era, The Killing Joke, V for Vendetta, Watchmen, but Miracleman, at least in my eyes, surpasses them. And while Moore’s run dealt mainly with the physical nature of the character, Gaiman delved more into the metaphysical. Gaiman’s stories were very surreal in nature, but the most important aspect, they kept the same quality storytelling the character had under Moore. And even though the artists change from Davis and Leach to Chuck Austen, Rick Veitch, John Totleben, and then Buckingham, the art never misses a beat and stays familiar. There are two things about this new series I’ve been reading about that I have found interesting. First, nowhere in these new printings will you find the name Alan Moore. For the issues he wrote, he will be credited as “The Original Writer.” I’m sure there is some copyright reason for this, but as staunchly as Moore has protested anything done with his original work, such as films, I could see him not wanting his name on these, although it’s a bit confusing. Secondly, Marvel contacted all the artists to try and get the original pages so they could essentially remaster the original images. This is brilliant. Usually I would be against making any changes to the original, but with the technology we have today, I think it will make the art look that much better. I just wonder what the reprints will do to the prices of the original Eclipse printings. The series was only 24 issues, but complete sets usually ran from $250-350 depending on condition. Certain issues were always more scarce and received a higher premium. Could these new printings devalue the originals and make them easier to purchase? I’d say it’s possible, but unlikely. We comic collectors, for the most part, adore first printings over reprints. The reprints will open the market for collectors to be able to read the series without having to purchase the Eclipse books, but that will also light a fire under people to grab the originals. The increase in demand would lead to the prices rising, but I’d wager that selling point will remain about the same. Even the price on the trade paperbacks I couldn’t see changing. No one bought the trades to read, they were just as, if not more collectible than the issues. All in all, I’m pretty stoked about this. Miracleman has long been a favorite series of mine. I remember reading the series and just being utterly disappointed when I got to issue 26 and found out I couldn’t read any further. Now that Gaiman and Bucky are finally going to be able to finish their run, I can. Gaiman has said that not being able to finish Miracleman has been a disappointment in his life, so I’m glad he has the chance to wrap it all up, and good on the House of Ideas for giving him that chance. Make sure you pick up Miracleman today, 01/15/2014. Fair warning: this is definitely not a kid’s story. 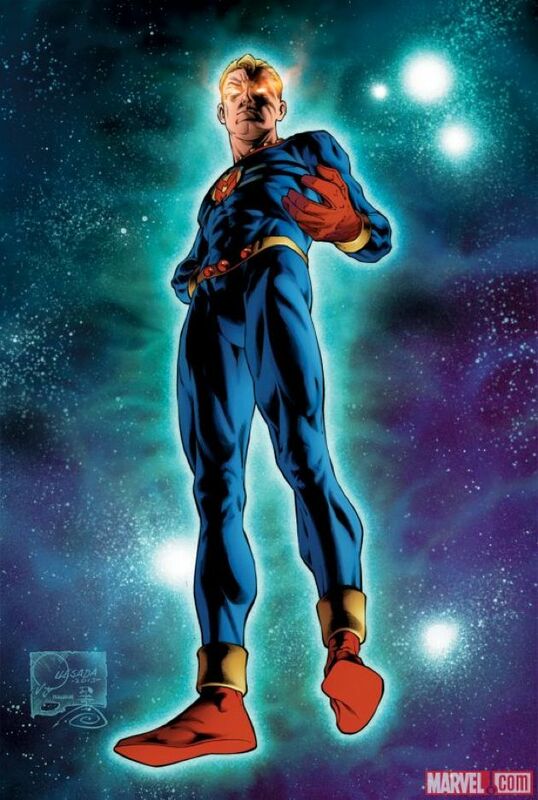 So in hindsight it kind of begs the question that if Marvel was going to reprint the old Miracleman series which was actually originally produced as Marvelman but was changed due to pressures from Marvel comics, why wouldn’t they go back to the original name of Marvelman now that they in fact own the properties to the series? Not that this matters at all mind you, I just find it interesting. I’m going to say because Miracleman is the name associated with this character the most. All the dark, gritty stuff happened with him called Miracleman. That’s really the only reason I can think, the collective consciousness sees him as Miracleman more than Marvelman. Not a bad answer, even though a lot of those Miracleman stories are actually Marvelman reprints that were originally printed in the Warriors comic magazine from the UK….However, I also would have accepted that the name Marvelman is just pretty friggin’ awful. Actually someone at Marvel, I forget who (Joe Q or Axel Alonso, I think), answered this question a month or so ago. Basically what Jason said – the majority of the US audience knows the character as Miracleman, the name under which the books were published over here, so it just made more sense. The interview was in CBR or Newsarama.